Adding meta tags can help you get more traffic from search engines like Google,Yahoo,Bing,etc. The meta description is the most important one. 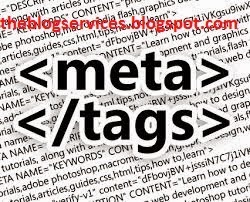 Meta tags are the kinds of tags that describe your site and tell the search engines what your site is all about. Adding meta tags is an important factor in SEO (Search Engine Optimization).Meta tags allows search engines to index your web pages more accurately. In other words, Meta tags communicate with the search engines and tell more information about your site and make it indexing correctly and accurately. We must add two main meta tags to the head section of the template. One is the Meta description which describes your site and another one is Meta Keywords which tells about your site keywords (what your site is all about). If you can place this in your site, you will certainly have a good communication with Google and other search engines. Successful blogs are made up of good indexing brought about by good placement of necessary meta tags. This will make that your site is in compliance with the necessary ingredient that will make the format of your site better for revenue purposes. This article will help you do that. Good luck. Step 1. 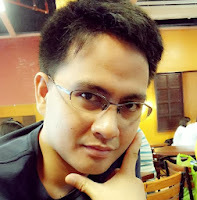 Go to "Template" --> "Edit HTML" of your blog. Step 3. Now add below code just after the above code. Thanks For posting this Helpful tips !! !